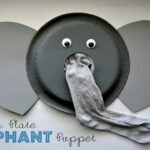 Are you sick of paper plates yet?? I can’t seem to create something without using them lately. 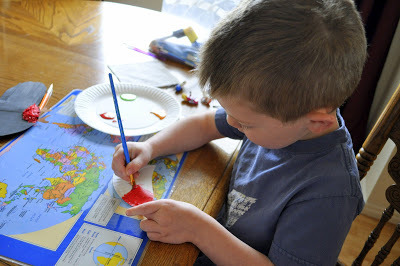 The inspiration for this craft came from Chalk Talk. 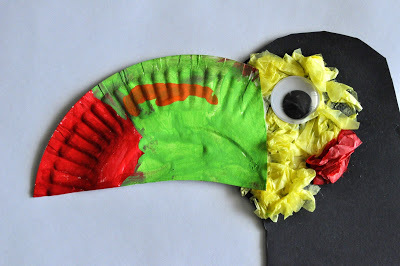 I saw how they used a paper plate for a beak and it was an instant winner for me! 1. Cut your small paper plate in half. 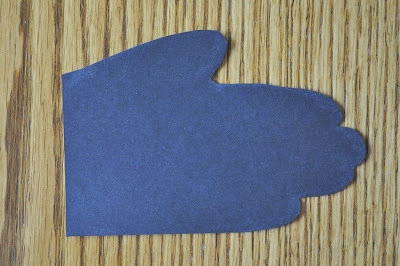 Cut the end of one of the half’s off and give it a little bit of a curved shape at the bottom to form the beak. Here’s a close-up of the beak pictured below so you see what I mean. 2. 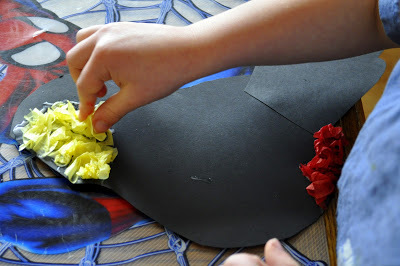 Paint the full half section of the paper plate black. This section will be used for the wings of the Toucan. Paint the beak section with the colors of your choice. 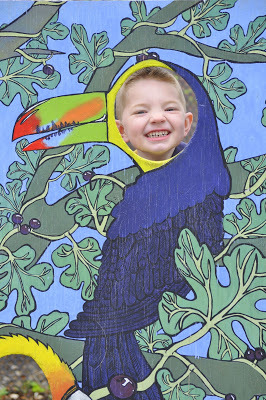 We modeled our beak after the Toucan we saw at the Aviary, so my son used red, light green and orange in his beak. Let the pieces dry completely. 3. 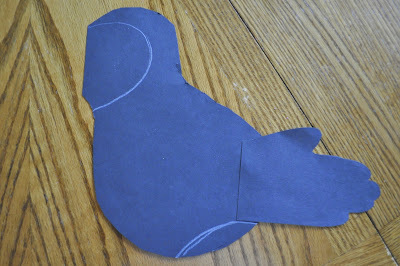 Next cut out your Toucan body and feet. I have made my template available for you on Google Drive: Toucan Template. I traced the body template onto a black piece of cardstock paper for my son to cut out and I cut out the two feet on brown cardstock paper. 4. 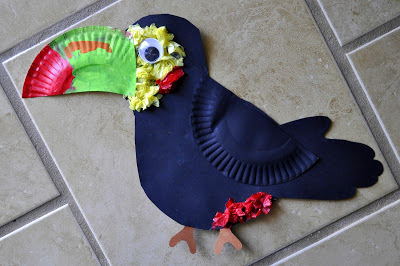 For the tail feathers, trace your child’s closed hand on a piece of black cardstock paper and cut it out, then have your child glue it onto his Toucan body. 5. To replicate the yellow and red feathers on the Toucan face and underbelly, I outlined the areas with white crayon, then my son glued yellow and red crumpled tissue paper in those areas. 6. To finish the Toucan, glue on the feet, a large wiggly eye, the black wing and the colorful beak. It’s almost as cute as this other Toucan I saw at the Tracy Aviary…. YESSSSS! (Imagine me throwing my arms in the air and looking up to the heavens!) I love how the beak is a paper plate. And that little handprint tail is adorable! 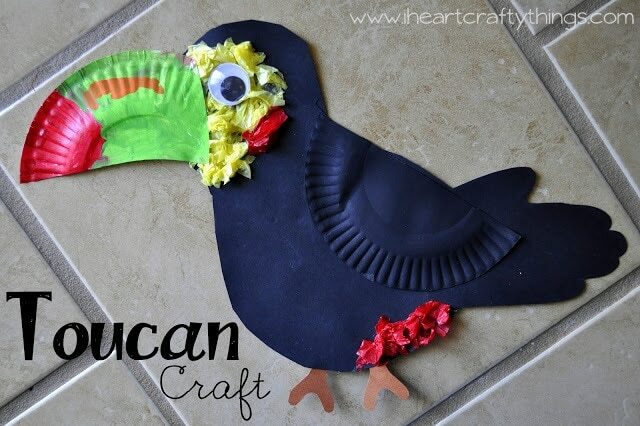 I am so excited to teach my class about toucans and now I have a craft to go with it! THANK YOU!! I love this guy too! So colorful! I love your toucans!! Thanks so much for sharing the link with me!! Love this one (as I have all of them!!) Thank you for sharing at Sharing Saturday! I hope you are having a wonderful week! 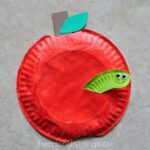 I teach at a homeschool co-op, and my first graders are studying different countries around the world. As part of our Brazil day, we made these toucans and they turned out great! Thanks for sharing! Wonderful! Great to do with my granddaughter . Love the hand tail. makes it very personal. This bird is beautiful !! I love it !! 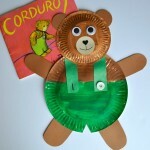 j'adore travailler aver des assiettes avec les infants ! !